Last edited by Shauna0522; 01-27-18 at 02:23 AM.. I feed all my growing young snakes weekly, adults less often. remove the spaces between the url and the "img" tags and the photo will post...the spaces make the system think it's just a sentence. I just checked my records on my last BRB when I purchased it at 6 months old, it was 38 grams, so I would guess that you snake is just about the right size for that age. I don't measure the length of the snakes since I can't do anything about that. I track the weight so I can make sure that I am not over or under feeding my snakes. Ok perfect thank you that makes me feel better. Congrats!! Expect to see more pics as you feel the urge to post them! You have one tiny baby! 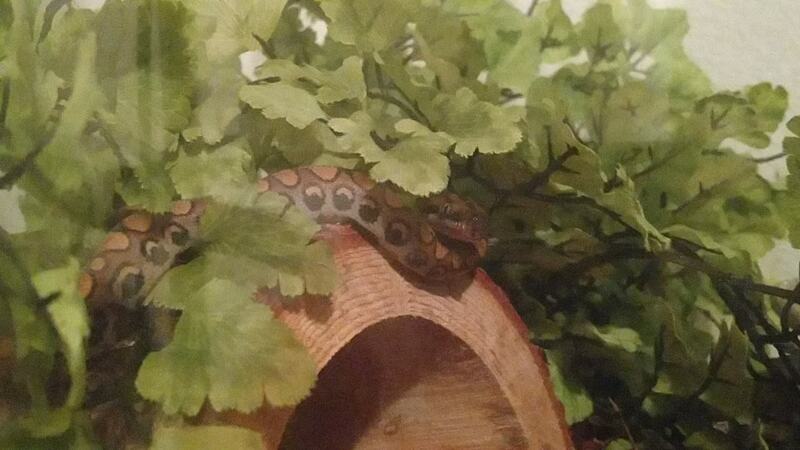 Sanji was about ~65-70 grams at 6 months old, he was 40 grams when I got him at 2 months old. He was eating mouse fuzzies every 10 days up until he was 6 months old, then I moved him to hopper mice every 10 days at 65-70 grams. Baby BRBs have a bit of a higher metabolism, I generally feed 7-10 days until about 2 years old. At 2, I space them out to 2 weeks, and adults I plan on feeding every 3-4 weeks. Ok thank you big snake girl.